If you ask most people why they have not achieved their goals or the level of success they desire, they will usually respond with some automatic excuse (negative belief) that is holding them back. Underlying this excuse or negative belief is usually a fear or worry. How many times have you attempted something new, only to stop before you ever got started because you were afraid of what others may think? Or you don’t think you have the time or money or both? Or because you believe are inexperienced or lack the knowledge to succeed? Someone once defined F.E.A.R. as False Evidence Appearing Real, which means we have chosen to believe in something that is not really true. But because it is our belief, it is our reality. Worry is nothing more than a sustained fear caused by indecision. Sometimes we need to ask some tough questions to determine the cause of these worries or fears. Once the fear is identified, a simple formula can be used to overcome that fear. The first step is to clearly define what you are afraid of or worried about. Write in down. Put in on paper, ideally use a small writing book to keep all your notes/writing together. Half of your worries and fears will be solved the instant you can define them clearly by putting them on paper. What once seemed big in your mind will probably look small and insignificant on paper. For the other half, you need to move on to step two. Ask yourself, what is the worst possible thing that can happen if this fear or worry becomes true? Make a list, yes, write it down on paper underneath your clearly defined worry. Keep writing down everything that comes to mind until you have identified the worst possible outcome. Do you realize that 90% of what we worry about never happens? Think about how much time you spend on worrying about stuff that never will happen. This list will help you see that. Once you have completed your list, resolve in your mind that you will accept the worst possible thing that can happen. Since 90% of those things will never occur and generally the other 10% will not kill you, realize you will survive. Accept the worst possible thing by telling yourself, I can handle it, over and over again. This will start to turn things around. Finally, begin now to make sure the worst never happens. Put together an action plan of exactly what you need to do to turn things around. Focus on positive changes and implementing your action plan, your focus will shift to the positive outcomes and away from your fears. You will begin to feel better because now you can DO SOMETHING! Positive action is the only cure for fear and worry. Try this formula today and see if it will work for you. It has worked for me. Many professionals have a basic idea of what they want to achieve in their careers. They may want to close more sales, earn a higher income, or move into a different job. Often though they do not achieve the success they desire. Why? Why is it that intelligent, motivated, hard-working individuals are not achieving the success they deserve? It is because they haven’t set clear goals. In order to be effective, goals must be written down in the present tense using clear, specific, vivid words. For example, if your goal were to earn a salary of £50,000 per year, you would write. I now earn £50,000 per year in a job that is fulfilling and allows me to express myself creatively. 10. Visualise yourself accomplishing the goal. See yourself in clear detail as if you have already achieved the goal. If you want to close more sales, see yourself closing more sales easily. Do this over and over again until it becomes part of your subconscious mind. As the species whose thinking ability supposedly separates us from the animals, we really don’t spend much of our life reasoning. Most of the time our minds seem to get stuck on cruise control. Thinking takes up too much time and requires too much energy. Imagine having to think about every decision we make. It wouldn’t leave us much time to accomplish anything else, would it? Most of us have a systematic way of looking at the world. 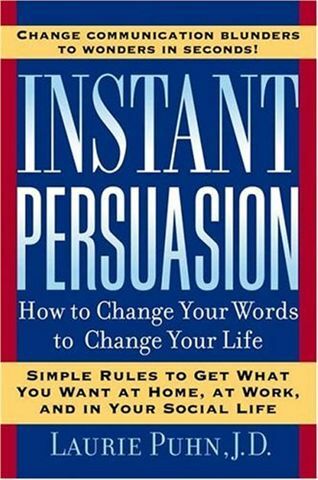 When this mode is operating, our minds are perfectly primed to automatically respond to persuasion triggers. I call these triggers the Laws of Persuasion. Recommended Reading – click on the images for more information. Millions of words have been written about goal setting, then again millions of people set goal but despite this goals set by most people remain unfulfilled. 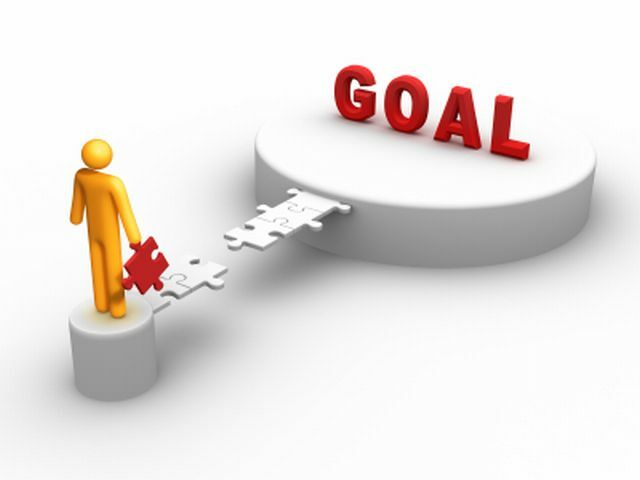 Lets look at some of the key essentials of successful goal setting. Follow these when setting you goal, stay focused and on track when taking action towards your goal and you will succeed. Making your goal original does not mean that it cannot be the same or similar to the goals that others may have; it means that they must be yours, not secondhand. Many people set goals according to the hopes and expectations that they have been programmed to have by parents, teachers, peers, society or cultural norms. For example, a goal of training to be a doctors as it is your parents wishes when really you want to be a vet, solicitor or in another career of choice. As a consequence you will not own these goals. You cannot generally have or hold what is not yours or even if you do manage to keep it, it will not have any value or meaning to you. What’s the point then of having it? The real reason you set and hope to achieve goals is not just to have the thing, it is to be happy and fulfilled in the accomplishment. Set goals that are yours; not inherited or assumed. If they are not your own original goals, even if you manage to accomplish them, it will mean very little to you. Why waste your life pursuing something that will end up as meaningless? Your goal must arouse your passion, it should get you excited at the thought of successful reaching goal. This must be a consuming passion, not some whim or ‘someday I’d like to’ feeling. You must desire passionately to achieve what you set as a goal. It must drive you to action and you must feel fulfilled in that action because you know that it is leading to the fulfillment of your goal. It is passion that drives you to move continuously toward your goal. It is passion that keeps you from getting distracted. It is passion that keeps you from getting discouraged. It is passion that fuels your motivation. It is passion that draws others to you to assist in your goals. It is passion that inspires you and others. It is passion that lights your way through the darkness that you will find along the way. Get passionate about your goals or get passionate about someone else’s. Life without passion is not a life; it is merely an existence. Obviously, you cannot have conflicting goals in life or you will be conflicted. That’s the easy part. Your goals, however, must also be in harmony with your core beliefs and your self-assigned purpose in life. It is easy to understand that to having conflicting goals will raise your stress levels and frustrate you. Yet, people do that to themselves all the time. It is not so easy to understand that you may have some deep set unconscious game plan for your life (whether from some basic spiritual urge or from some sense of undefined purpose) and the goals you set may actually be in conflict with that real, but hidden, game plan. First, decide who you are and what you are here to do and then set your goals in alignment with that; or you, yourself, on a subconscious or super conscious level will continually be sabotaging your goals. There is not much point in setting a goal to personally live on Mars, if you are today over 95. The goals you set for yourself must be achievable within the framework of what is humanly possible. But (and this is important) realistic does not mean what the majority commonly accepts as realistic. Most people did not think that it was realistic to attempt to fly a bicycle with wings and a motor attached, but two brothers named Wright did. Most people did not think it was realistic to build a personal computer for people to use in their home, but two guys named Steve did. These 4 guys changed reality for all of us. Their goals were obviously, in retrospect, quite realistic. Don’t let your imagination be hemmed in by the crowd. Find out who are the ground breakers and inspiring people who have achieved in the area of which you are setting your goals, see if their story inspires you and if there is anything you can learn from them. In two ways—they must involve your personal ideals in the five mentioned areas of your life and they must be progressively higher or further ahead than you are at now. Spiritual and Ethical (Unity, Life purpose, Values, Sacredness). If your goals are not idealistic (in the sense that they are progressive), you will get bored and unsatisfied. People (those who don’t understand) often wonder why those who are already extremely wealthy continue to pursue more wealth. It is because the ideal is always being extended or raised. Great achievers don’t rest on their laurels. Each goal achieved is merely a stepping-stone to more and greater achievement. It is not the end in itself. Goals like “I want to be rich” are not worth the paper they are printed on. Rich must be defined. £1m in the bank might mean rich to most people but not to others. It is the same for more generic goals. ‘I want to be happy’ means nothing. happiness must be defined just as rich must be defined. I want to be spiritually fulfilled is the same … if you want it, define it. What does wealthy mean to you? No sure? What does happiness mean to you? Don’t know exactly? Then how on earth will you ever even know if you get there? I have met a lot of people who say that they are on a spiritual path. I like to ask where that path is leading. Most can’t say anything specific. If your destination is not defined, how in heaven’s name will you know if and when you get there? Just like using a Sat Nav, they require you enter a postcode or full address of your destination. The same principles apply to setting goals make sure that it is a clear and unambigious as possible. Just because you have set your goal does not mean that it is set in stone, review it and if at any time it appears to no longer be exactly what you want then amend it, make it more inspiring, more appropriate, whatever is necessary to keep you on track. Many people miss the better fulfillment of a goal because their focus on the one they had originally visualized is too intense and narrow to recognize the better one when it shows up. Be sure that you are focused on the best possible fulfillment of your goal, not just on the method that you foresaw that goal fulfillment happening. If you cannot see it as real and as true and as a part of the way you live your life…it will not happen. Tiger Woods ‘sees’ his shots landing on the green a few feet from the cup before he takes the shot. The average golfer looks up (usually too soon) from his shot to see where it went. Guess whose shots end up where most often. Visualize the reality in your imagination and it will become real in your manifestation. You must tell yourself all day, every day, in your constant conscious and subconscious self-talk that your goal is real and achievable. AND, you must tell others what your goal is so that they can ‘buy into it’ and contribute to it. If you don’t believe in it enough to make it a part of your daily conversation and are not passionate enough about it to be compelled to talk about it to yourself and others, it is NOT real for you and it will NOT become real. You will be surrounded by people who will not support or encourage you, they may even scoff at your goal. Someone must speak the truth of the reality of your goal. That is your 24/7 job. Constantly affirm where you are headed and why. You’ll end up not only convincing yourself but the world as well. Goals must be time related. Everything exists in space and time. If something is not defined precisely in space and time, it does not exist. A goal of someday, I’d like to be financially secure, or someday, I’d like to climb that mountain does not, and it is highly likely that it WILL NOT ever, exist as anything other than nebulous wishful thinking. You must set specific times for your goals to be made manifest OR you will be forever going towards you goals and never quite reaching them. Almost everyone in developed countries sets the goal of retirement in financial security, but the overwhelming do NOT achieve that. Why? One of the reasons is that it is always a ‘someday’ goal not a ‘by June 21st 2012’ goal. Of course, it is also likely that these people are also not applying the other rules of effective goal setting. If it exists only in your head, it is only wishful thinking. This is the basic, proven by experience, truth of the matter…95% of people who have specific written goals, accomplish them; and 95% of people who have unwritten goals (specific or not) do not. If you can read that sentence and not begin immediately to write down your goals, you might as well resign yourself to the fact that you will not accomplish what you imagine you want to be, do and have in life. OK, there are those few high achievers who manage to set clear distinct goals without writing them down and also manage to stay focused on them for their entire lives. Don’t kid yourself…you are not one of those people. I’ll prove it to you. Contact me (or anyone) right now exactly, specifically and in full detail what goals you held 1,000 days ago. You will find other related articles on this website.